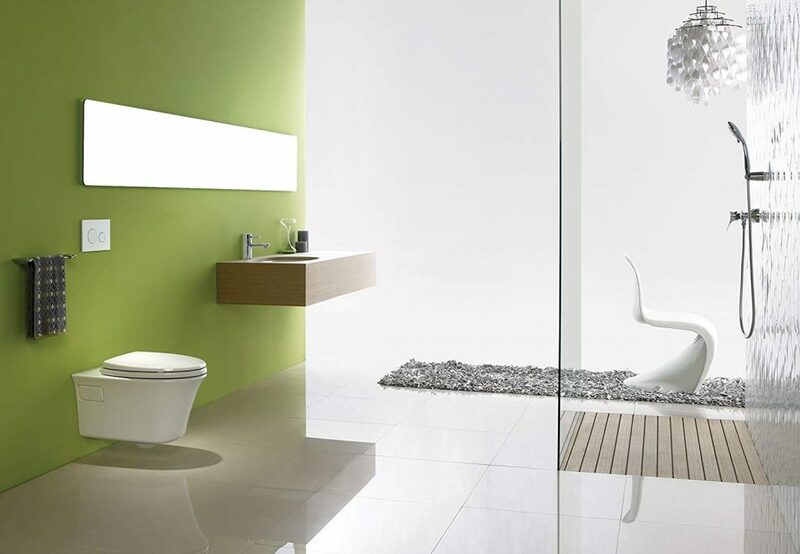 Wall mounted toilets can be a great idea for space saving and easy cleanup but is it the right decision for you? After all, it is an investment. Still, it’s about more than just beautification and convenience. 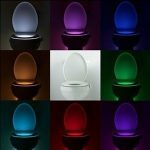 Here you will find some of the best wall-mounted toilet designs as well as general information to help you make a wise decision. There are a few things to consider before deciding on a wall mounted toilet. 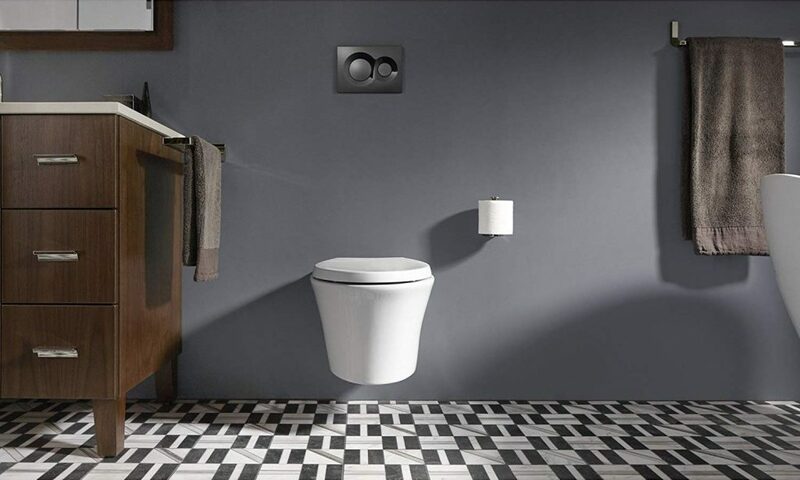 Wall-mounted toilets are an exceptional and modernized design that have great features, like gravity flush. However, they also need to be installed correctly. You will have to have the brackets that maintain its stability. The reinforcement maintains the integrity of the bowl keeping it secure to the wall and allows you peace of mind in knowing that it’s not coming down. These are much easier to clean than original floor mounted bowls. They are excellent for small spaces. These are compact and efficient. You will also want to do preventative maintenance on your bowl and brackets that secure it to the wall ensuring that it remains secure. You must obtain a tank system that will require you to retrofit the studs behind drywall in order to support the frame/toilet. In most cases, the plumbing will need to be redone, which often requires your floor to be redone. 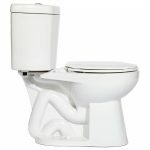 Make sure that you measure the height of the toilet seat keeping in mind that the universal height is most recommended. If you are installing yourself be sure that you cut the hole in the drywall exactly the size of the pipe and access plate. 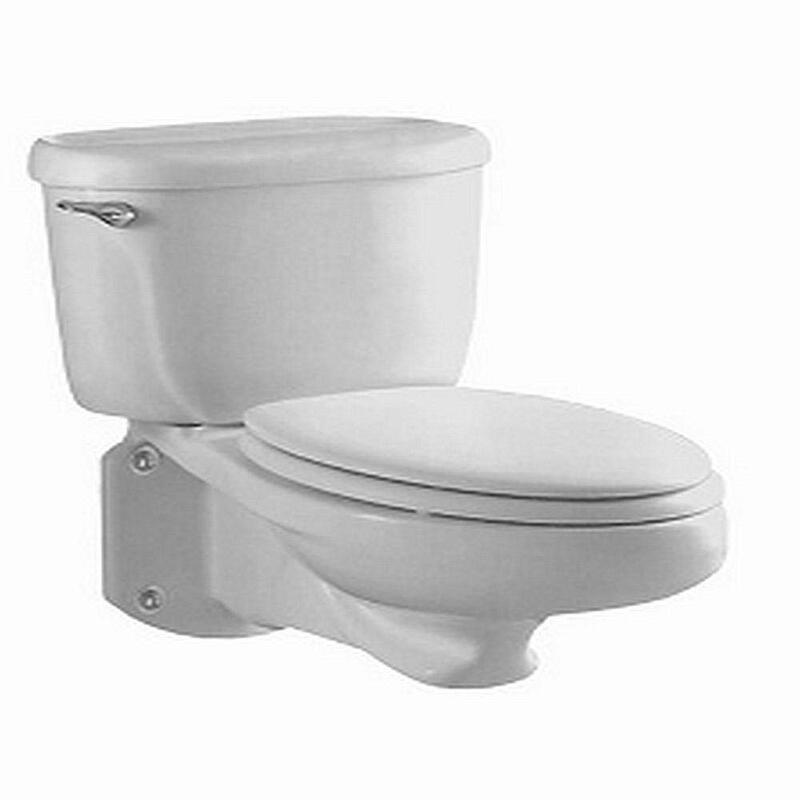 Before using your wall mounted toilet, you must purchase an in-wall tank system, a toilet seat and a flush plate. 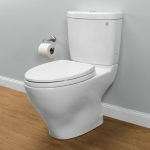 Do keep in mind that if repairs are needed, it may become a bit more expensive and require a professional as your toilet is installed into the wall. Sometimes plumbers will have to enter that wall to make repairs, but this is not always the case. 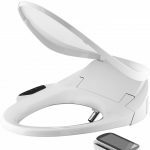 It can become a bit pricier than repairs on a traditional bowl would be, but consumers confidently report that a wall mounted toilet bowl is a worthy buy overall. When it comes to getting the best wall mounted toilet, information is power. Here is all you need to know to get the model that best suits your space and your lifestyle. 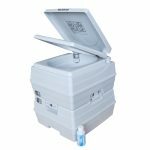 TOTO is an exceptional company to do business with because they are known in the market for their attention to detail and offering quality products. 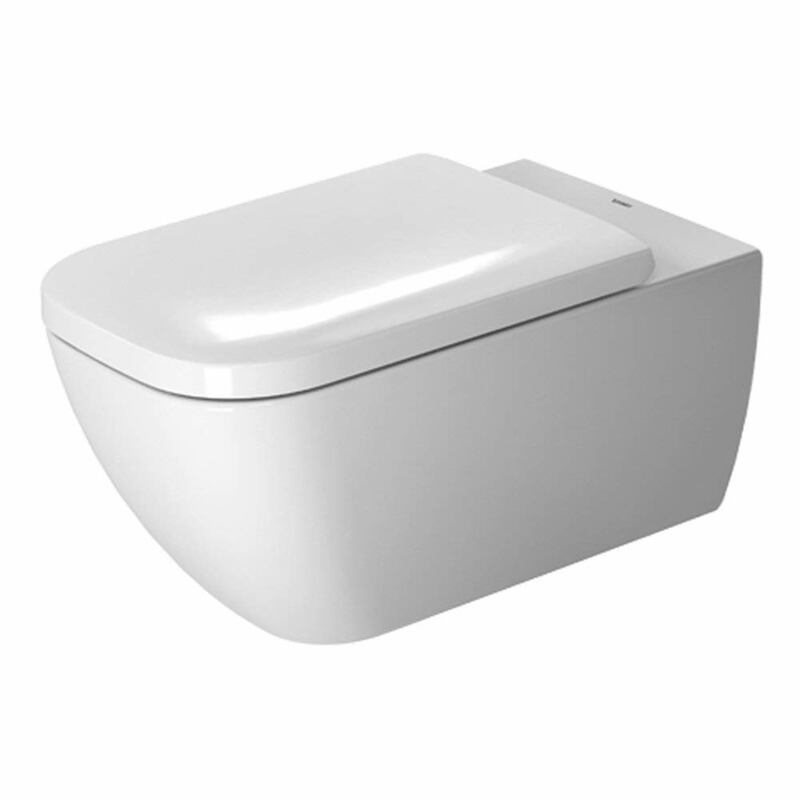 That is why TOTO Toilets are among the most popular choice for home-owners and commercial use. 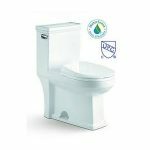 Consumers say that this is an environmentally friendly option featuring gravity flush that saves space and is easy to clean thanks to its ceramic design. Unlike its predecessor, this one doesn’t have the extra surface glazing for anti-mold properties. If this is something that you want in your wall mounted toilet the TOTO is worth a look. 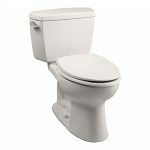 KOHLER Wall Hung Toilets are fantastic for anyone who wants to save space and minimize cleaning. Different colors are available including but not limited to white, black and eggshell. The look is seamless thanks to the mounting hardware not being visible. This is also a feature that leads to easier cleaning. While some have complained about the water level, its Dual flush actuator gives you the option of a 0.8 gallon or 1.6-gallon flush. This bowl offers steel brackets for stability and an adjustable height of 15⅜” up to 28½” from bowl to floor. 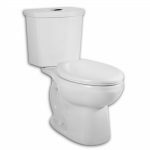 See our guide for more info on dual flush toilets. There have been issues with the double-sided tape holding the side panels being useless. People report panels falling off. A quick trip to the hardware store to get something that will hold the panels better upon installation may be a good preventative should you decide on this purchase. The American Standard Glenwall is great for residential or commercial bathrooms. It features an elongated bowl and siphon jet action. There is a 10x12 water spot with a closed coupled flushometer tank. The bowl is put through a rigorous high temp manufacturing process that allows the design to be easy to clean and not absorb germs or debris. 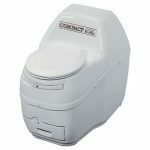 This is an environmentally friendly, low consumption toilet which will require a carrier for instillation to be purchased separately. This product comes with a limited one-year warranty. TOTO prides themselves in being very detail oriented. 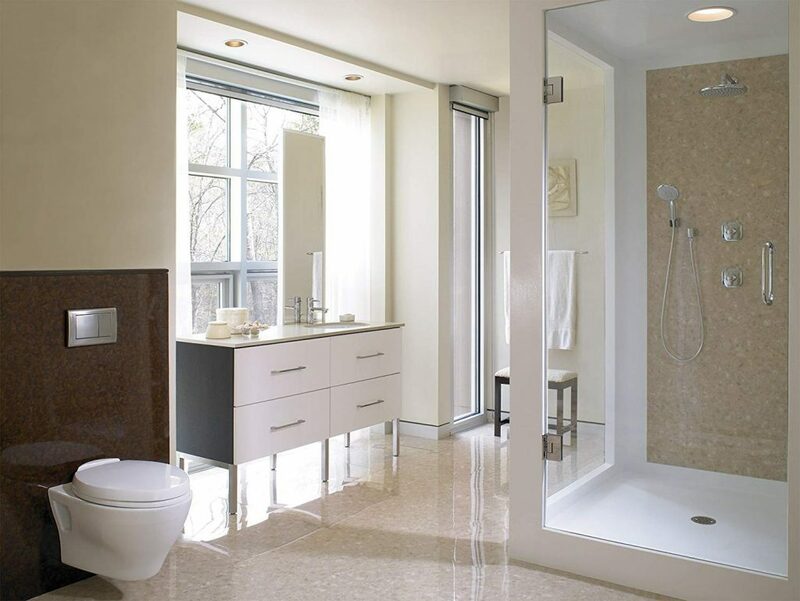 They have a team of more than a thousand professionals combined to produce top of the line products for your bathroom. This is a brand that has been on the scene for quite some time, so you know that you are dealing with a credible company. This is a wash down, dual flush model that may a bit more expensive than some of the others listed, but consumers seem to love it. They say that it is a good investment that offers longevity and performance. 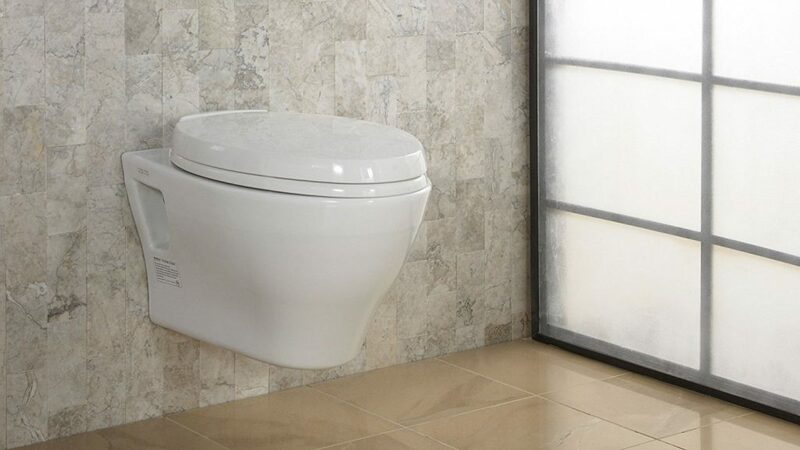 You will need to purchase an in-wall tank system and toilet seat to use this product. The design is simple and sleek, easy to clean and sturdy. Please click here for warranty information on this model. 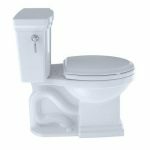 If you are looking for a space saving, easy to clean toilet option that you can adjust to height, then a wall mounted toilet may be for you. They are great alternatives for small spaces or anyone who hates cleaning around the bottom of traditional toilet bowls where all of the gunk seems to gather. The information here will help you make an educated decision on which model will be the best for you and your family. It will add style, value, and space to your bathroom.